Students get inspired as understanding of type helps them learn to accept themselves and others in a positive way. This self-knowledge leads to better performance in academics, and reveals healthy strategies for managing their behavior and reducing conflicts in relationships. The theory of psychological type is about the development of healthy personality. 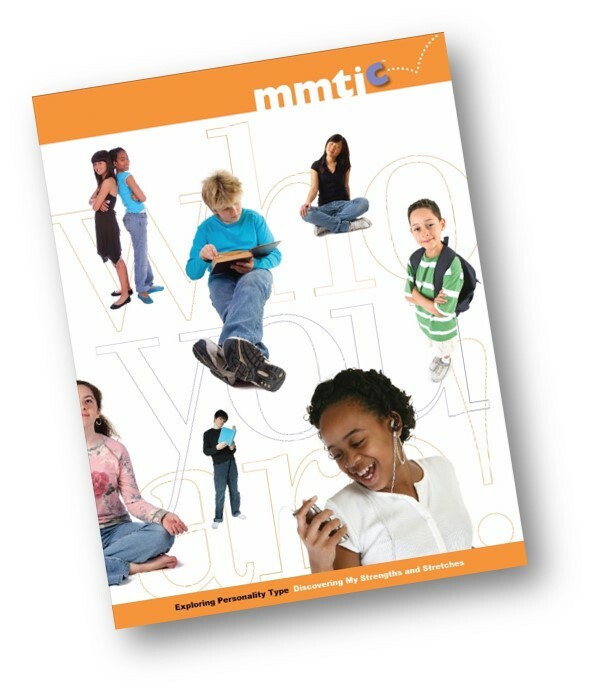 Results from the Murphy-Meisgeier Type Indicator for Children® (MMTIC®) assessment provide students with new awareness of their strengths and stretches, and the differences they might have with friends, teachers and parents. In addition to being a fun exploration of personality type, the MMTIC experience yields better self-management and gives young people valuable tools for personal growth and lifelong learning. Note: School advisors and counselors can order an MMTIC® Professional Report to gain a better understanding of an individual student's behavioral and and/or academic challenges. Teachers discover a systematic, easy-to-learn approach that takes student differences into account, helping develop lesson plans that address diverse learning needs, making assignments that play to student strengths and stretches, and creating tests that more accurately reflect learning. Early educational experiences are critical for forming habits that lead to a lifetime of successful learning. Yet children, like adults, have their own preferred learning styles. Because psychological type is expressly about gathering and processing information (the core elements of learning), understanding differences in children’s personality types provides a proven method for effectively reaching all students. The Murphy-Meisgeier Type Indicator for Children® (MMTIC®) assessment, first published in 1987 and administered to many thousands of children since that time, is the definitive tool for measuring psychological type in young people. Results from the MMTIC assessment help each child learn more about their strengths and stretches, and the differences they might have with friends, teachers and parents. Insights gained from learning about their personality type provide effective tools for better self-management, and a better potential for success in all phases of their lives. Insights gained from discovering personality type provide a proven method for identifying and addressing the unique learning styles and communication needs of all students. The MMTIC assessment gives teachers a way to empower each student and validate their individual style of exploration and engagement. In CAPT's research on using type in the classroom, teachers (primarily elementary and middle school) trained in type reported significantly better understanding of both their own and their students' strengths and stretches, their ability to group students of similar personalities "to meet their differing needs," and their ability to introduce new learning style strategies on a weekly basis. When teachers identify a child's unique motivators, they can craft discipline strategies that are more appropriate and effective. Using type in the classroom can help satisfy requirements of Response to Intervention (RTI) and can give teachers a way to help students succeed before a referral for learning disabilities is initiated. MMTIC results provide insights into individual learning styles and motivations, which is crucial for teachers as they plan and execute differentiated instruction curricula. A wide variety of support materials have been developed to support the implementation of type understanding in the classroom and beyond. From the theoretical book People Types and Tiger Stripes to the comprehensive "how to" book of Great Minds Don't Think Alike, teachers will find abundant resources on this website to present personality type concepts to students of all ages. Consultants readily identify both people and processes improvements that lead to better learning for students, more effective teaching, and increased understanding between school administrators, team leaders, and teachers - all of whom are responsible for student success. The theory of psychological type is about the development of healthy personality. Results from the Murphy-Meisgeier Type Indicator for Children® (MMTIC®) assessment give students an accessible way to learn more about their strengths and stretches, and the differences they might have with friends, teachers, and parents. This important information contributes to better self-management and forms a foundation for the work of educational consultants who assist and support various education teams in providing excellent learning environments. The MMTIC instrument gives educators a tool to help kids find their own path to success in academics and in life. In situations where students are struggling, it's often not the skill or the information the student is failing to grasp—it's the manner in which the information is presented. The MMTIC personality type assessment was created as a way for teachers to empower each student and validate their individual learning style and engagement, both in and out of the classroom. Educational consultants can use knowledge of children’s personality type (and their own) in a variety of ways to foment success for everyone in the educational process. The MMTIC instrument is backed by years of research and is the only personality type assessment validated for children and young people from grades 2 through 12. The MMTIC® Professional Report provides type-specific information for helping students with learning tasks and relationships, and accepting their own personal learning style. As educational consultants evaluate the emotional, behavioral and learning aspects of students, MMTIC results provide a proven method for empowering self-reliance and acceptance in young people. Consultants need to communicate with all the stakeholders in the education environment - students, parents, teachers, counselors, and administrators. Insights from knowing about personality type can clarify communication styles, resulting in positive team-building and cooperation. Knowledge of personality type gives consultants a fresh perspective on ways to ensure that various departments within a school are on the same page. A solid foundation in type can personally assist and support consultants as they handle the school improvement tasks of planning, implementation, and assessment. Students who seek help with specific academic track or career questions will benefit from learning about their preferred ways of gathering information and making decisions, and these are revealed in MMTIC results. The MMTIC® Career Report helps students narrow their career interests and provides activities and information related to specific opportunities for them to explore, while keeping their type, skills, interests, and values in mind. Knowledge of personality type can help consultants provide students with an objective evaluation of their strengths and weaknesses in relation to their peers, and help ensure positive outcomes for all students. Counselors will find assessment results that provide an easily understood framework for shedding light on behaviors that can be either helpful or disruptive. A student's type has impact on their interests, activities, interaction with others, response to authority, and career choices. 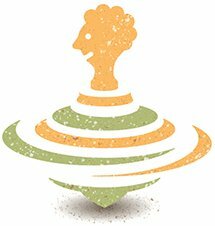 The theory of psychological type is based on a lifelong developmental model, proposing that we are born with preferred ways of being, and insights gained from understanding these individual preferences are relevant for people of all ages. Results from the Murphy-Meisgeier Type Indicator for Children® (MMTIC®) assessment give educators, administrators, counselors, parents, teenagers, and children valuable insights into differences in how they learn and engage in healthy social interactions. Using personality type in a student counseling setting adds a practical tool to help young people be successful academically and in their personal, social, and career development. Learning about personality type gives students a way to accept and manage their own behaviors, as well as the actions of their peers and teachers. Working with personality type gives counselors a fresh way of examining disciplinary problems and conflicts. The activities and exercises included with the MMTIC assessment provide a way to resolve student conflicts attributable to personality clashes or misunderstandings. Feedback sessions are valuable catalysts for helping students establish personal goals and develop future plans. The MMTIC instrument is backed by years of research and is the only psychological type assessment validated for children and young people from grades 2 through 12. MMTIC results help provide accurate diagnoses. Understanding differences in learning styles may confirm, clarify, or render unnecessary diagnoses of conditions such as Attention Deficit Hyperactivity Disorder. Researchers have suggested that some psychological types are more likely to be misdiagnosed as ADD or ADHD than others. Understanding personality type can reveal alternate solutions to specific student concerns and may prevent potentially unnecessary treatments, satisfying the requirements of Response to Intervention (RTI), designed to help students succeed before a referral for learning disabilities is initiated. Knowledge of psychological type can give counselors a new lens for their classroom observations on behaviors and relationships. Providing feedback to teachers, students, parents, and staff can become more meaningful when everyone knows their personality type and appreciates each other’s unique gifts. Counselors who use type can be more proactive in engaging the school staff to deliver development programs and services that help students achieve success in school. The MMTIC® Career Report helps students narrow their career interests and provides activities and information related to specific opportunities for them to explore, while keeping their personality type, skills, interests, and values in mind. MMTIC support materials include information on the process of choosing a career, including Looking at Type® : Your Career, a comprehensive workbook that allows students to relate their potential occupational choices to their type preferences. Knowledge of psychological type can help with developing and implementing career awareness as part of the school counseling curriculum.